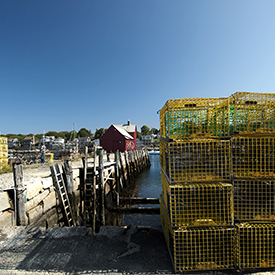 The United States produced $1.4 billion worth of aquaculture seafood in 2015, and the top U.S. marine aquaculture species were oysters ($173 million), clams ($112 million), and Atlantic salmon ($88 million). 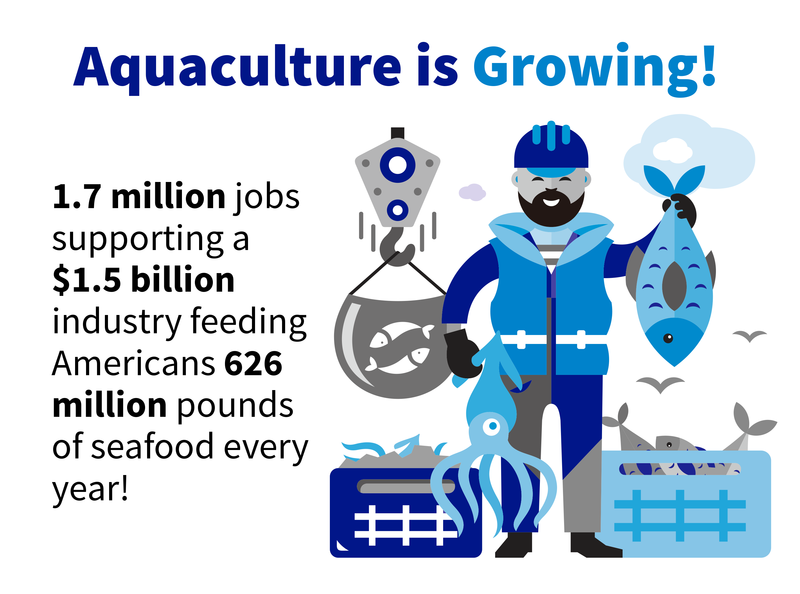 The U.S. aquaculture industry produced 627 million pounds of seafood in 2015. In 2015, the country’s seafood industry supported nearly 1.2 million jobs and generated $144 billion in sales impacts. The United States ranks 16th in the world’s total aquaculture production. A compelling case can be made for growing more seafood domestically; the U.S. imports 90 percent (by value) of its seafood, more than half of which is grown via aquaculture in other countries, and Americans are the industry’s third largest consumer in the world. In 2016, the average American ate 14.9 pounds of seafood, for a total of 4.8 billion pounds consumed by Americans.